"Witch, witch, you make me itch. I'd like to beat you with a switch." Baylee Scott has the gift of touch. Except it’s not a gift. Seeing other people's memories doesn't make her very popular in Reed Hollow. It was one of the reasons she left the small town as soon as she was able. But after losing her ghost-hunting husband, Baylee returns home to help her brother run the family business: a defunct antique shop and tea house. It’s a dull existence that leaves her dreaming of adventures elsewhere. Then, a mysterious jewelry case appears in her office, followed by a note detailing a connection between strange lights appearing in the sky and the disappearance of local women. Suddenly, Baylee’s life becomes more exciting. 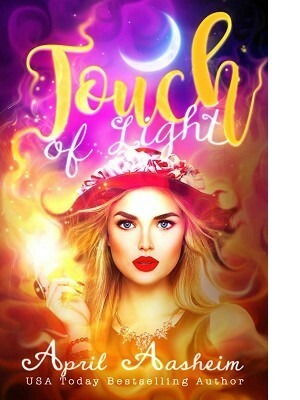 Aided by her animal-loving brother, her tarot-card reading cousin, and the ghost of her dead mother, Baylee must unravel the clues to stop the strange lights from taking yet another victim.